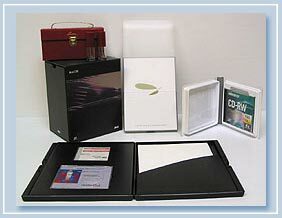 We offer an array of presentation folders, menu covers, pad holders, desk pads, certificate holders, zippered cases, portfolios and much, much more. 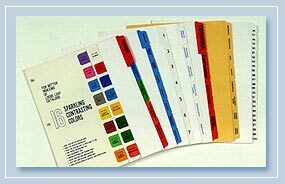 your dividers with a reinforced binding edge, colored stock and printing, if required. leather, over a standard white index tab. Tabs are also available in polyethylene, as illustrated.